Lake Como is a lake located in northern Italy, very close to the border of Switzerland. It is a popular upscale area, known for its dramatic beauty and being the home of George Clooney. 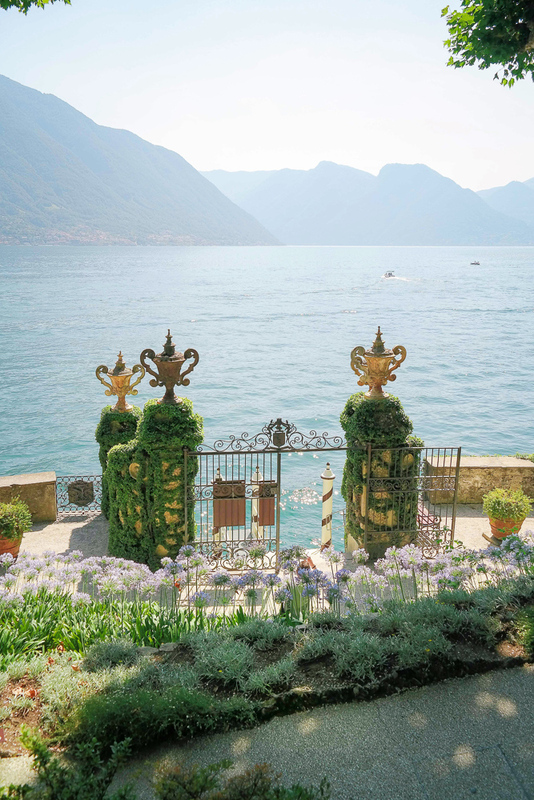 The lake is home to many towns including Bellagio, Como, Tremezzo, Varenna, and Lecco to name a few. 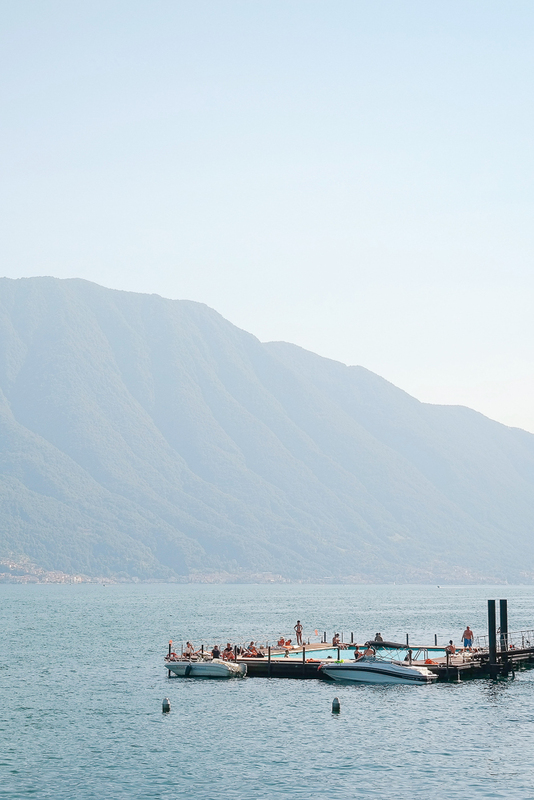 Two summers ago, Bellagio Lake Como was one of nine stops on my month long Europe itinerary, and if i’m being honest - it was the one I was the least excited about. We had read many things about it and it seemed okay, but I didn’t expect to really love it. To my surprise, it ended up being one of my favorite stops and I am looking forward to returning someday soon! 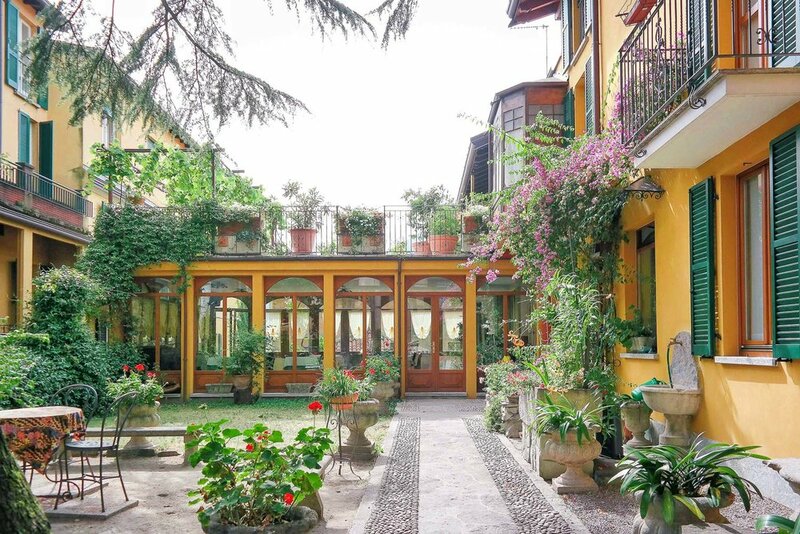 Bellagio is located 70 km (43 mi) from Milan, home of a major airport and train hub, making it very easy to get to! If you have not driven on Italian roads before, I’d highly recommend taking a taxi on your way into Bellagio and the train on your way out (that’s what I did). The ride in the taxi was so much fun and it was nice to be able to relax and be taken right to our hotel. Speaking of which, while in Bellagio, I highly recommend staying at Hotel Centrale. It is a little more reasonably priced than the other options in Bellagio because it is not directly on the water but is just a quick walk (~5 mins or less) so it's perfect. They feed you a beautiful breakfast each morning, there is a nice sun patio, and it is ran by the sweetest family. Another option in Bellagio is Hotel Du Lac. I did not stay here but it has excellent reviews, is in a great location, and is yellow with green ivy all over which of course makes me love it. If you prefer Varenna, there is a Hotel Du Lac there as well. It too has excellent reviews, is lakefront, and is pink-colored with flowers all over! 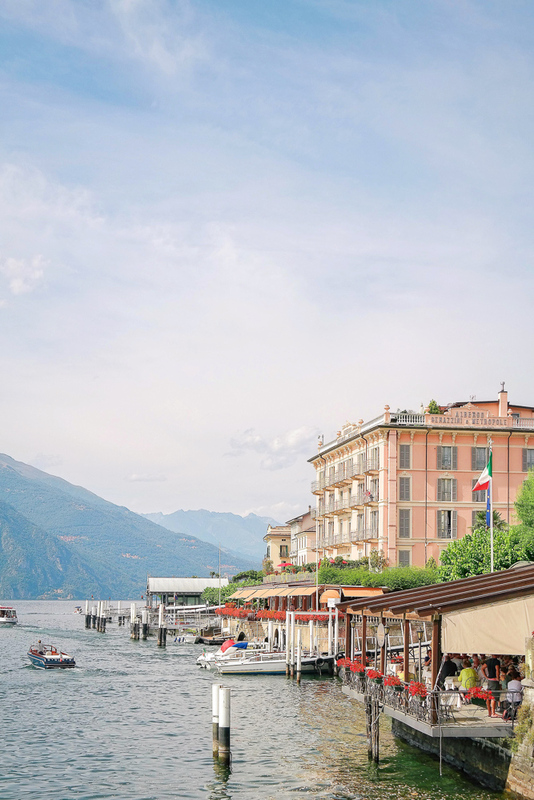 Or, if you can splurge, Grand Hotel Tremezzo is as luxurious as it gets. They have an amazing pool that floats on the lake which is only accessible to guests. If you’re anything like me, you decide where to go (at least in part) by how beautiful a place is. I have a thing for anywhere that is colorful, charming, and unique, and this one definitely fits the bill! While visiting, definitely plan on spending a fair amount of time roaming Bellagio. It is beautiful and there are many photo-opps around every corner. In addition to Bellagio, make sure to visit Varenna, another Lake Como town which you can get to by ferry. It is lined with colorful buildings and has it’s own unique charm. When I visited Bellagio, I came from Budapest after a night at SPArty. No matter how exhausted I am while traveling, though, I more or less refuse to do nothing because my time in each spot is limited and therefore precious. Upon arrival we were pleased to find that many of the activities in Bellagio revolved around leisure, so we were able to still see a lot while also recouping a bit. As an Italy addict, I have explored my fair share of the country and eaten my fair share of Italian food. Call me crazy but I am not a big fan of pasta, however the pasta I had in Bellagio was not just good, but the best I’ve ever had! Italy is full of popular destinations, from Florence and Rome to Cinque Terre and Positano. I’ve visited all of the above and loved them, but what I really love about Bellagio is how unique it is to the rest of the Italy hot spots. It is situated below the Italian alps, giving you amazing mountainous views, and believe it or not - it actually reminded me a bit of my hometown (Bellevue, Washington, USA). 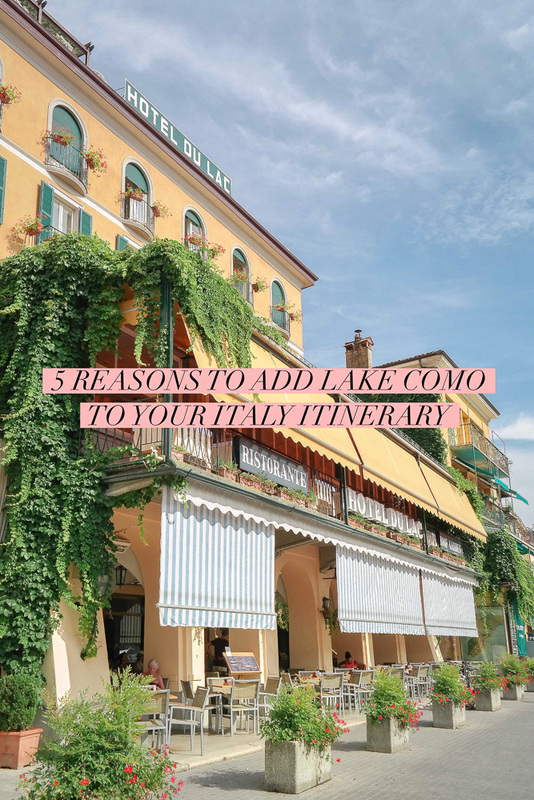 If you are looking for something a bit upscale, low key, and a few days (48 hours-ish would be my recommendation) of relaxation, Lake Como is your spot!